Limousines Versailles We have been welcoming and guiding discerning travellers from abroad since 1998 and are passionately committed to meeting the needs, tastes and expectations of every one of our guests. Our fifteen years partnership with Versailles allows us to provide our guests with a uniquely enriching and personal experience. With us you may visit private areas not normally available to the public - and there is never any waiting in line on our tours. 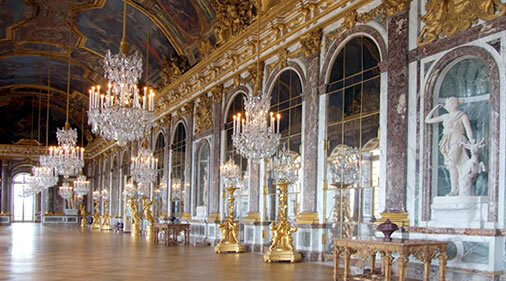 A Limousines Versailles Tour will lead you behind the scenes and give you unique insight into the royal life of Marie Antoinette and the Kings that ruled from Versailles. We specialize in customized tours that take our guests off the beaten paths and create itineraries that offer a more intimate and exclusive experience of France and its many exceptional attractions : we provide as well private tours of Paris, Giverny, Auvers sur Oise, Champagne, Normandy, Loire Valley, the Riviera and an exclusive tailor-made Tour de France.